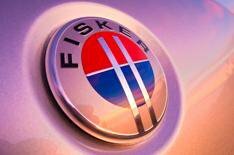 Fisker to use BMW engines | What Car? Fisker, the company behind the innovative petrol-electric Karma GT, has signed a deal with BMW under which the German car maker will supply turbocharged four-cylinder engines and other components for future Fisker models. The first Fisker to get BMW power will be a new 3 Series-sized saloon, codenamed 'Project Nina', which goes on sale in 2013. Like the Karma, this new model is an electric car that uses its petrol engine purely as a back-up generator for when the batteries run low. However, the Nina will cost about half as much as the 87,000 Karma and be offered in right-hand drive form the Karma is left-hand drive only. Convertible and SUV versions of the Nina will follow, but Fisker isn't planning to put a BMW engine in the Karma until it brings out a heavily updated version in 2015.